Sopranessence presents a concert benefitting CPL! 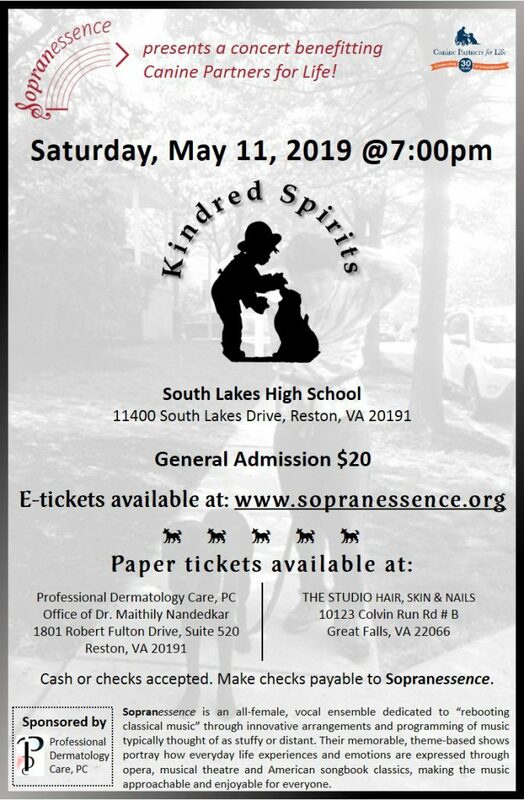 Sopranessence, an all-female vocal ensemble dedicated to “rebooting classical music” through innovative arrangements and programming of music, is hosting a concert on Saturday, May 11, 2019 to benefit CPL! The concert will kick-off at 7:00pm at the South Lakes High School Auditorium (11400 South Lakes Drive, Reston, VA). General admission is $20 and 100% of ticket sales benefit CPL! To purchase your tickets, visit sopranessence​.org. Sopranessence’s memorable, theme-based shows portray how everyday life experiences and emotions are expressed through opera, musical theatre and American songbook classics, making the music approachable and enjoyable for everyone.